I don't mean to toot my own horn, but I wanted to share with you the gift I sent Nicole last week for her birthday! You may know people like my best friend, Nicole, who are kind of hard to buy for because when she wants something she goes and gets it herself. 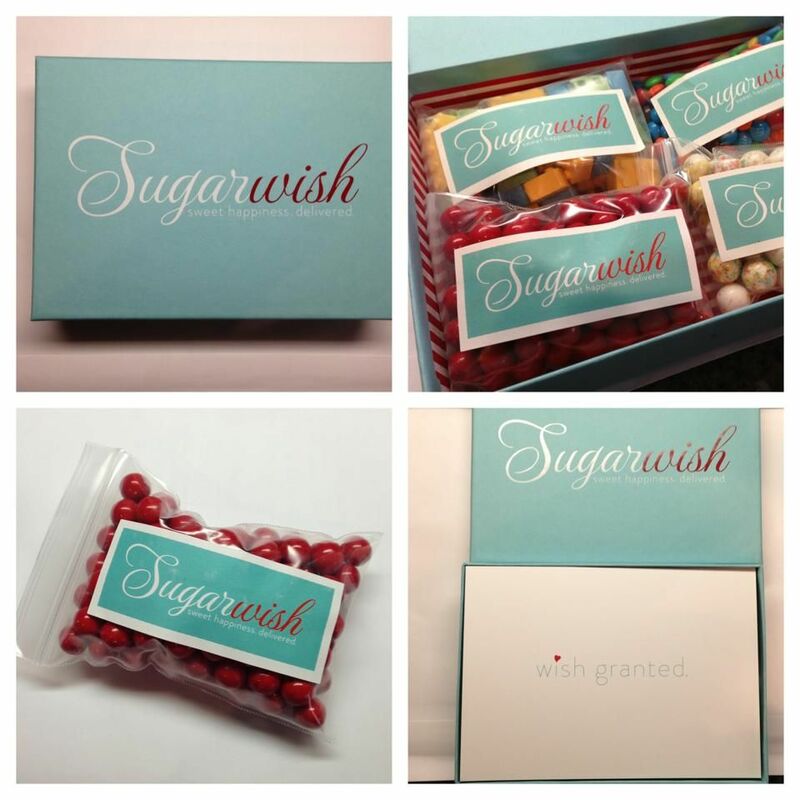 That is why I knew as soon as Dani Hamptom instagramed about Sugarwish it would be the perfect gift! Here is a pic of her final gift that Nicole posted on Facebook. Ok, let me tell you how it works. They then select the candy they want...they have sugary and chocolaty and even sugarfree. Leslie and Elisabeth get it all packaged up in the snazzy box above and ship it out. Nicole had hers within a week (I am not sure if that is normal, so don't count on it). So there...quick easy gift...who doesn't love candy! Let me tell you also that Sugarwish is a dream to work with! I was having computer issues, but was determined to get this ordered for Nicole, so I called and talked to Elisabeth. She walked me through everything and helped fix my problem. And yesterday out of the blue I had a little Sugarwish thank you from her for hanging in there! I've got to say if you are on my birthday calendar for this year - you will more than likely get a gift from Sugarwish...if you don't want it your can forward the email to me - I love SUGAR!